Made a DVD cover for Cool as Ice. I bought the Cool as Ice rifftrax for my brother's birthday, and decided to photoshop together a cover for the DVD I burned off for him. Yeah, it's not a Criterion release, yeah in 1991 Bill Corbett wasn't part of the MST3K team, and yeah Seanbaby has nothing to do with any of this, but I'm claiming artistic license. 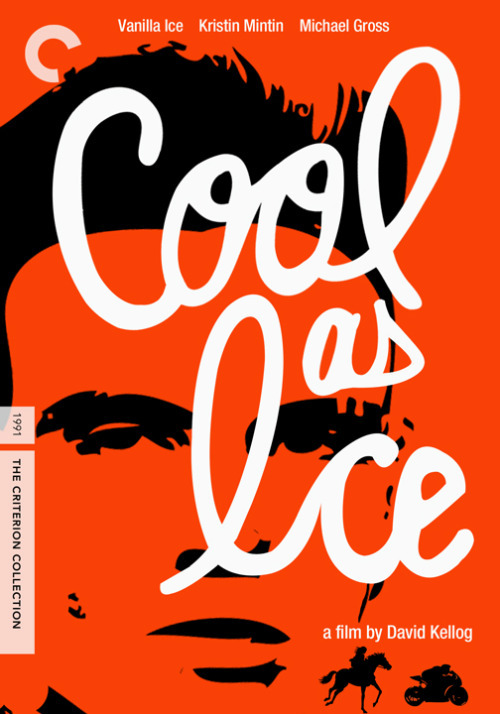 Re: Made a DVD cover for Cool as Ice. Criterion has been taken over by zombies. Have the Governor kill them..
Good stuff. I like the first one, but I do like Mr Torso's Criterion looking one. Wow guys, these three covers look like more effort went into creating them than there was in making of the movie.